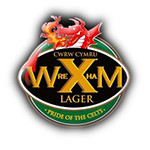 Wrexham members have courtesey at 46 clubs who celebrated their centenary in 2006 click the links below for details. Started some two years ago, the association has now attracted over a hundred member clubs from the north of Scotland, to Ireland, Wales, and all areas of England and one in New York. Courses either have to have been designed by Braid or redesigned or altered by him to be eligible to join. In the course of his life he was involved in designing over 300 courses as well as being the Professional at Romford for eight years and from 1904 till his death in 1950 at Walton Heath. In addition he won the Open five times, plus numerous other competitions, formed the PGA with Taylor and Vardon and is credited with inventing the ‘dogleg’ hole. The advantages of being a member of the association is that the members of the clubs, can play at all the other member clubs for reduced green fee, subject to tee availability, thereby hopefully increasing the awareness of Braid’s work and of course the man himself. There is no cost to the club to join. Tee reservations must be made in advance (at least 24 hours), stating you are booking under the ‘Association of James Braid Courses’ scheme. You will be required to provide proof of home club to Professional on your arrival – either handicap certificate or bar card. Bookings will only be accepted based on the Club’s tee availability. The green fee being charged is equivalent to the member’s guest rate. Green fees valid for both Ladies and Gentlemen. For groups or families golfing in Fife, why not stay in the cottage in which James Braid was born (6th February 1870). Sleeps 6, 3 bedrooms, 2 bathrooms (1 en suite), lounge with log fire, kitchen, secluded back garden.